Pokémon GO - Don’t Miss Niantic at MAG Erfurt! Pokémon GO Safari Zone Event in Tainan, Taiwan! The Legendary Pokémon Zekrom and Reshiram appeared first in the Unova region, and now you can add them to your Alolan adventure in October. 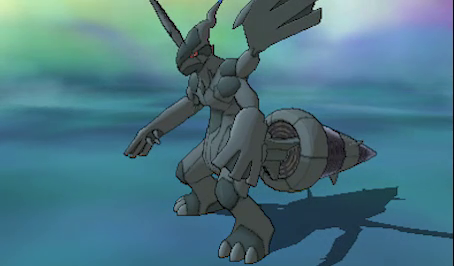 During October 19-28, 2018, you can get Zekrom for your Pokémon Ultra Sun or Pokémon Sun game, or Reshiram for your Pokémon Ultra Moon or Pokémon Moon game. 4. Select Get with Code/Password, then Yes, then Yes again to connect to the internet. 6. Watch as the Legendary Pokémon arrives in your game! 7. Speak to the delivery person in any Pokémon Center to receive your Legendary Pokémon. 8. Be sure to save your game. 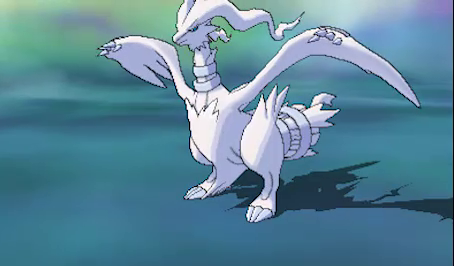 YouTube Trailer - Reshiram and Zekrom Join the Fray in October! 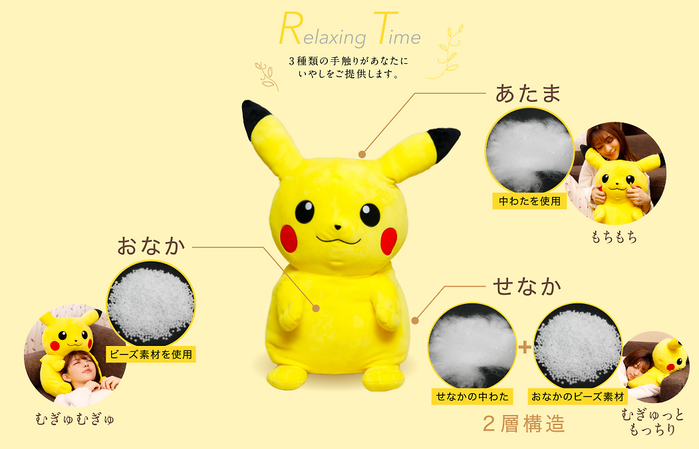 Takara Tomy has announced they will sell Pikachu and Eievui Huggable Springy Plushies (むぎゅむぎゅっとつつまれぬいぐるみ♪) in Japan in late February 2019. Pre-orders for the plushies will take place from September 21st, 2018 until November 1st, 2018. Normal sales of these plushies after the pre-order period has not been decided. 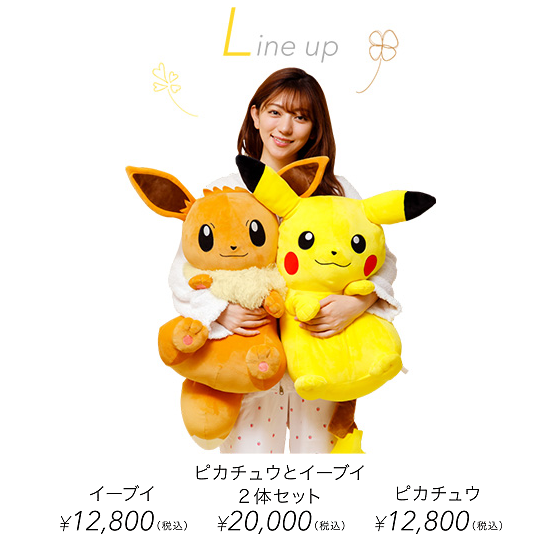 Each plush will be sold separately for 12800 yen or both can be purchased together for 20000yen, a 5600 yen savings on the individual price. High resolution images of the plushies have been added to an Imageboard thread. The head is filled with cotton, while the back is filled with cotton and beads and the stomach is filled with beads. 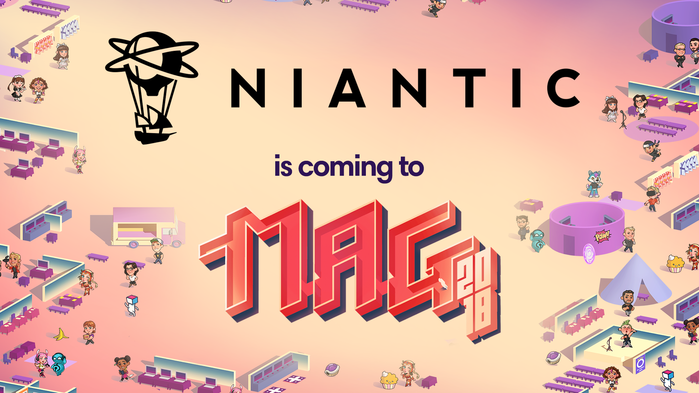 Niantic has announced that they will be an official partner of MAG, an anime convention that is taking place this year in Erfurt, Germany from Friday, October 5th, 2018 until Sunday, October 7th, 2018. There will be a Niantic booth and many Pokémon GO related events taking place during the convention. Don’t Miss Niantic at MAG Erfurt! We’re excited to share that Niantic is an official partner of MAG, a weekend-long anime and animation convention in Erfurt, Germany from Friday, October 5 to Sunday, October 7. MAG is the perfect place to meet Niantic–our booth can be found in Hall 1! Come over and talk with us about our games, and meet Twitch streamers, YouTubers or fellow anime fans. We also have a few special events planned that go well beyond the Niantic booth. For our Ingress Agents, there will be exclusive demonstration of Ingress Prime, and a special three-day Mission Day experience that includes exclusive badges. Meanwhile, Pokémon GO Trainers will have a special opportunity to trade Pokémon with German YouTube personalities Sturmwaffel and the Pietsmiet Collective. Plus, we’ll have special swag on hand, and plenty of surprises for attendees! Friday: 11:00 A.M. - 1:00 P.M.
Meet other Pokémon GO Trainers to trade Pokémon at MAG Erfurt! During this two-hour meetup, you can work on your Pilot medal and meet other Pokémon enthusiasts! You can also meet Niantic’s APAC Community Manager, Fumi Yamasaki! 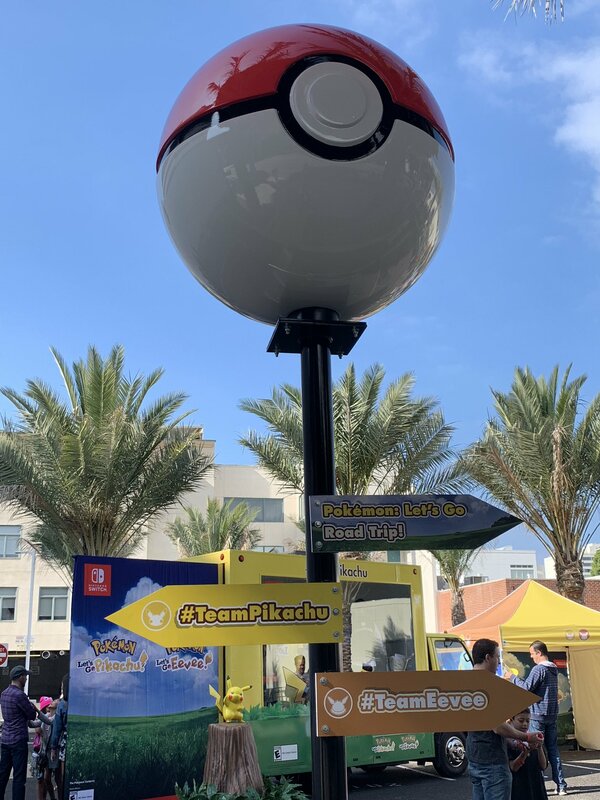 Friday & Saturday Lottery Times: 9:00 A.M. - 2:00 P.M.
Friday & Saturday Meetup and Trade Times: 3:00 P.M. - 4:00 P.M.
Visit the Niantic booth to win an exclusive chance to trade Pokémon with famous YouTubers and Twitch streamers. Come to the Niantic Booth in the morning and early afternoon to participate in the meetup lottery. Then, return later in the afternoon to meet the influencer and trade with him. Enter to win a chance to meet Sturmwaffel and Chris from the Pietsmiet Collective on Friday, and Br4mm3n and SEP from Pietsmiet on Sunday. Friday: 3:00 P.M. - 4:00 P.M.
Saturday: 3:00 P.M. - 4:00 P.M.
Are you ready to go on the the ultimate Pokémon GO raid tour? Hop on a bus and explore the city with other Trainers, hosted over the weekend by Sturmwaffel and the guys from the Pietsmiet Collective! Stock up on Raid Passes and other useful items as the tour will encounter as many Legendary Pokémon in Raid Battles as possible in an hour! Spearheading the bus will be Br4mm3n and SEP on Friday. On Saturday you can go on tour with Chris and Sturmwaffel. Additional Influencers will join the bus as a surprise! 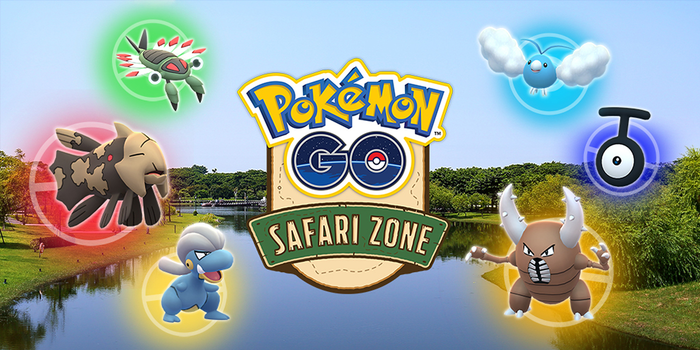 Niantic has announced that a Pokémon GO Safari Zone Event will take place in Tainan, Taiwan from Thursday, November 1st, 2018 until Monday, November 5th, 2018. Trainers will be able to encounter Pokémon not normally seen in Taiwan, such as Relicanth, Unown, Bagon, Swablu, Anorith and event a Shiny Pinsir! Please Join Us for the Pokémon GO Safari Zone Event in Tainan, Taiwan! Trainers, A Pokémon GO Safari Zone event in Tainan, Taiwan, is taking place from Thursday, November 1, to Monday, November 5, at the Tainan Metropolitan Park and the Chimei Museum! Dubbed Taiwan’s oldest city, Tainan is famous for its long history and rich culture. The city boasts many historic buildings, heritage sites, and temples, as well as an abundance of local festivals, culinary delicacies, and gourmet snacks. Plus, throughout the city of Tainan, Trainers will be able to find Pokémon not normally seen in Taiwan, such as the Water- and Rock-type Pokémon Relicanth, the Psychic-type Pokémon Unown, and more! And if you’re lucky, you might even encounter a Shiny Pinsir! This is a free event to be enjoyed by all Trainers, so make plans early to ensure you obtain transportation and accommodations for the event. On July 24th, 2018, it was revealed that Shoko Nakagawa, one of the host of Pokénchi, would be making her second appearance and concert performance of 2018 in the United States, this time in New York City as part of Anime NYC 2018 and Anisong World Matsuri. Anime NYC 2018 takes place in the Javits Center on Manhattan’s West Side from Friday, November 16th, 2018 until Sunday, November 18th, 2018. Shoko Nakagawa performs at the Anisong World Matsuri concert at the Hammerstein Ballroom on Day 2, November 17th, 2018 but she will also be at a panel and autograph signing inside Anime NYC. Anime NYC is proud to welcome the globally renowned Anisong World Matsuri concert series to New York City for the first time! Anisong World Matsuri brings together headlining Japanese pop stars for show-stopping concerts, and the inaugural Anisong World Matsuri at Anime NYC will feature major performances from Luna Haruna, Shoko Nakagawa, Morning Musume。’18, and more for two nights on November 16 and 17, 2018 in New York’s historic Hammerstein Ballroom. Anisong World Matsuri at Anime NYC is a partnership between Anime NYC and leading Japanese entertainment companies including BANDAI NAMCO Arts, Inc., Amuse, Inc., and Sony Music Entertainment, Inc.
Anisong World Matsuri’s mission is to bring Japanese pop music popularized by anime (anisong) to new audiences around the world, and it has conducted major event concerts in cities including Los Angeles, Shanghai, and Washington DC since its launch in 2016. This November, Anime NYC and Anisong World Matsuri will host the largest Japanese pop concerts in the history of New York City! Please note: This price includes a Hammerstein Ballroom Fee, and there are Ticketmaster fees on top of this. Early concert entry – Plus reserved section in front of stage! Anisong VIP Badge – Separate design for each day! Artist Goodbye Event (high-five) – All artists will attend! Signed Poster – Hand-signed by Anisong World Matsuri performers! There's plenty planned already for this year's Anime NYC Powered by Crunchyroll, which is set to take place at New York City's Javits Center November 16-18. 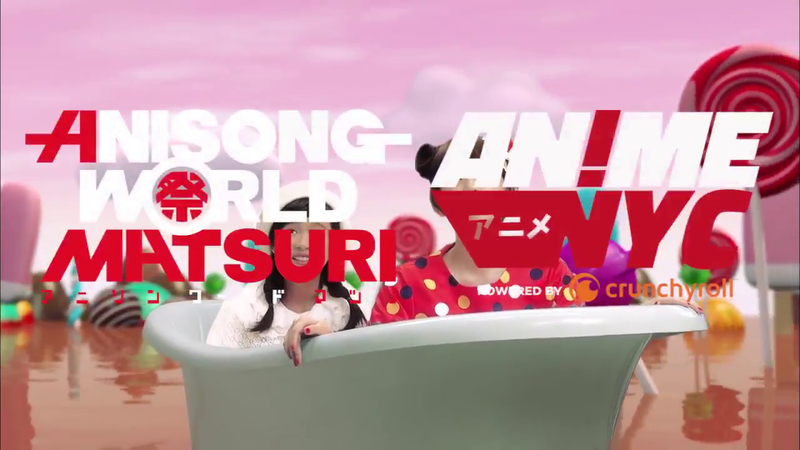 The latest event to be announced is Anisong World Matsuri, bringing the concert series to NYC for the first time along with a full lineup of concerts from Anisong artists. NYC's inaugural Anisong World Matsuri will take place over two nights—November 16 and 17—with performances by Luna Haruna, Shoko Nakagawa, Morning Musume。’18, and more. Here's a breakdown of who's performing when, and you can hit up the official page for more on each individual artist. 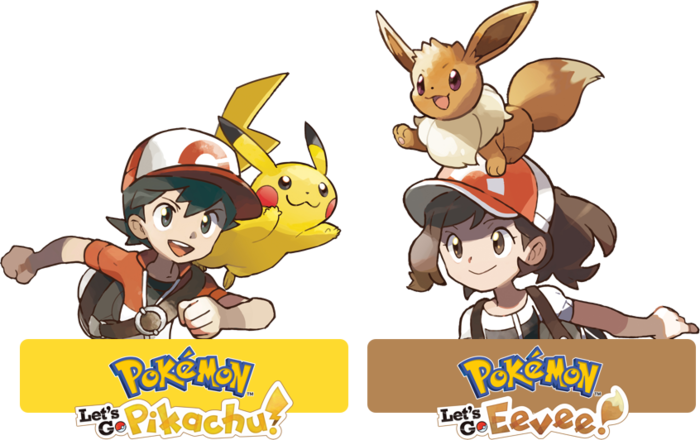 Tags: Nintendo, Twitter, Pokémon: Let’s Go, Pikachu!, Pokémon: Let’s Go, Eevee! 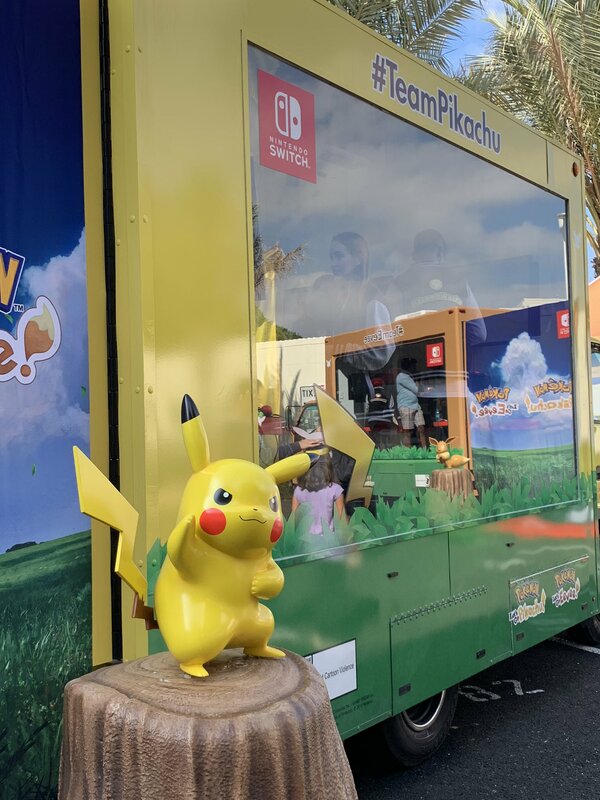 Nintendo announced a surprise Pokémon Let’s Go Road Trip which started on September 29th, 2018 and will be held each weekend in a major United States city up until the games launch. Pikachu and Eevee are going on a tour of the United States in their own customized trucks, and you’re invited to tag along! 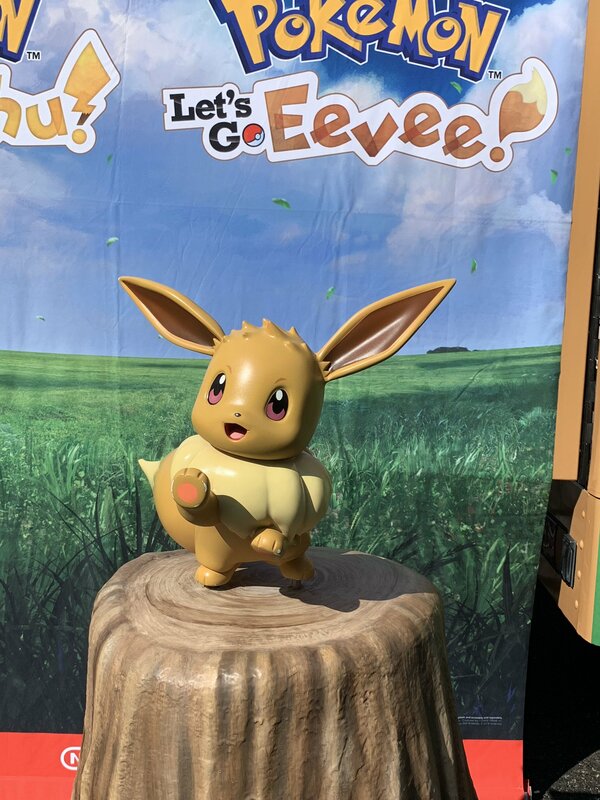 Check out the tour dates and locations below and come try out the Pokémon Let’s Go Pikachu and Pokémon Let’s Go Eevee games for Nintendo Switch. 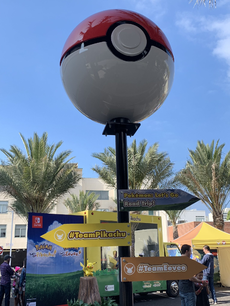 You’ll also have a chance to land some sweet Pokémon swag.